Helped my welding SHOCKINGLY GOOD ! I have forever had issues seeing my welds. I have a quality MIG but just couldn't see what the F I was doing. the weld. I recommend them 100%. Good to know, thanks. I have three of those that I haven't put up yet (& probably two more that I'd like to buy). Sounds like I should get them put up & grab the other pair that I want while they're available. like I do now. I do have 20 of them in my 2 car garage LOL . I noticed a couple of years ago that my old eyes needed better light to weld. For some reason regular incandescent bulbs don't work as well with welding lenses as LED or fluorescent. I have a fluorescent drop light that I mount right up next to the weld. For some reason that does not work with a regular bulb. I switched my entire garage to Costco LED fixtures some time back. In addition to better lighting and instant turn on in cold weather, LED lights do not attract bugs because they don't put out any infrared light. Can work in the summer with the doors open. Plus LEDs don't slowly put out less light as the age like fluorescents do. 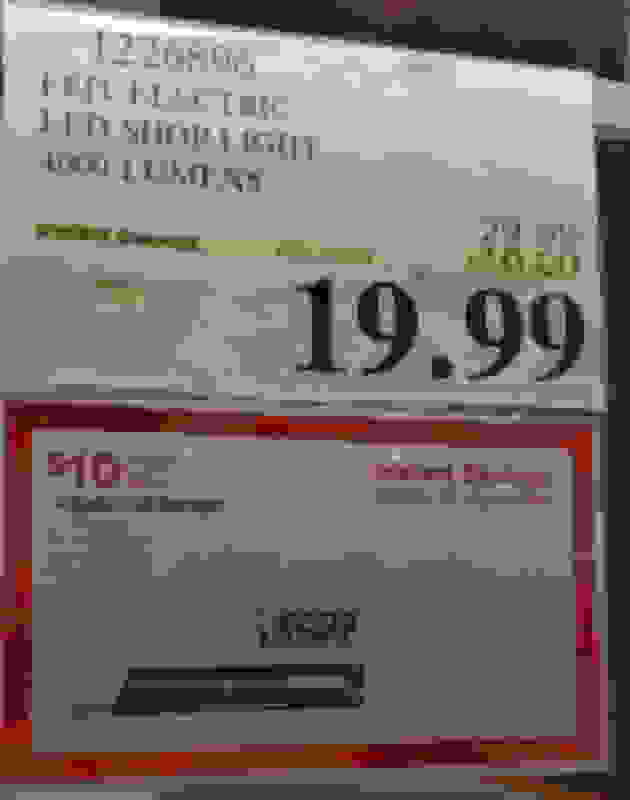 My only complaint with the costco led fixtures is they try to make them look like the old fluorescent units. No reason they can't make them an inch or so wide. BTW I bought a portable one I lay under the car when working. Nice having a 4' long drop light that won't break and shatter glass everywhere. Hold on.. are you saying seeing what you are doing helps you weld better? Last edited by panda240ss; 02-12-2019 at 10:58 AM. I found better lighting AND a good set of reading glasses make a huge difference. Just a thought, how about a LED lamp mounted to the top or side of the welding helmet? Battery operated of course. I wish I were home to take a photo of the fixture on my front porch which contains two LED bulbs and about 14,000 dead bugs. 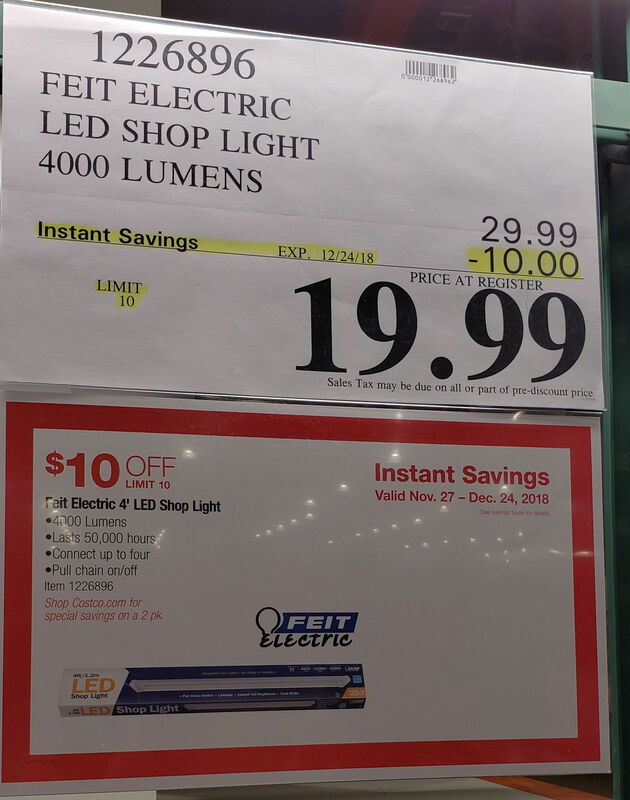 home depot had the 3 foot led lights on black friday for $12! i stocked up. This. I make my living as an electrical contractor. I install thousands of LED lamps and trust me when I say that bugs love LED’s. I install thousands of LED lamps and trust me when I say that bugs love LED’s. i dont know if its coincidence or not but i think owls like led lights too(or hate them and try to attack). ive hit 2 owls in my old 86 4runner when ive had my led light bar on, and just missed a third. rarely even see them without the led light. There's so many bugs here, it don't matter if lights are on or not. However, I do know this. In my neighborhood, the bright light of welding attracts little neighborhood kids like bugs to a light - ya gotta warn 'em off. the local welding supply has one of those mig lights you can test, i thought about buying one but it dosnt seem to give off much light even with new batteries. but i guess it would be better than nothing.